The past 30 years has seen a huge change in battery charging technology. Here’s a look back. Prior to 1985, the traditional DC electrical setup aboard a boat was flooded lead acid batteries charged underway by a 35- to 55-amp, internally-regulated engine alternator or at a dock with a converter. In those days the electrical gear on recreational boats was minimal. According to Steve Gamman, president of Balmar, two things really changed the course of the industry: the inverter and the microwave. 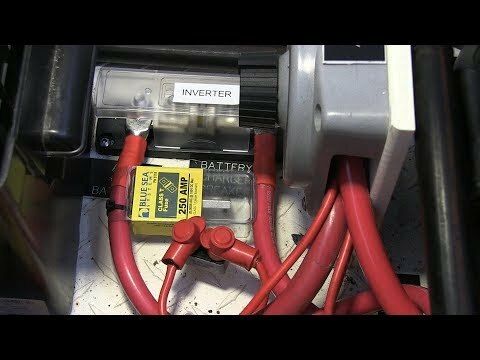 Finally boaters could run AC loads such as those from a microwave off the batteries with the use of an inverter. Life aboard was getting far more comfortable, especially for West Coast boaters who began adding heat to their boats, which allowed them to extend the boating season. These additional comforts put a strain on the DC system requiring larger battery banks to meet the electrical loads. Sealed Valve Regulated Batteries. Another pivotal development in the industry was the invention of the sealed valve regulated (SVR) lead acid battery. Up until then, flooded lead acid batteries had to be installed in the engine room because of the dangers of gassing. SVR batteries could be installed in the living space, and boaters were now able to increase their battery capacity to accommodate larger electrical loads. These new SVR batteries, such as gel and absorb glass mat (AGM), would accept a higher charge rate so you didn’t have to run the engine as long. As boaters wanted more comforts, the electrical needs increased and so did the battery bank size. Manufacturers had to develop new methods to recharge the batteries at the right rate of charge. 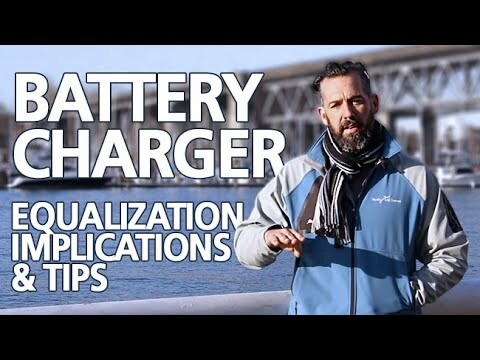 As a rule of thumb, the right rate of charge depends on the battery type. For flooded batteries, you want the charge rate to be 10 to 25 percent of battery capacity. SVR batteries can take a higher charge rate, and should be charged between 10 to 40 percent of battery capacity. Matching your charge rate to your battery capacity is critical for the health of your batteries, otherwise your batteries will likely have a shorter lifespan. Unfortunately, we commonly see boat owners that add battery capacity without proportionally adjusting their charging rate. We are going to look at the evolution of the two main methods, battery chargers and alternators. Battery chargers are powered by an AC power source, such as shore power or an AC generator. In the past, chargers were commonly called converters because they convert AC to DC. 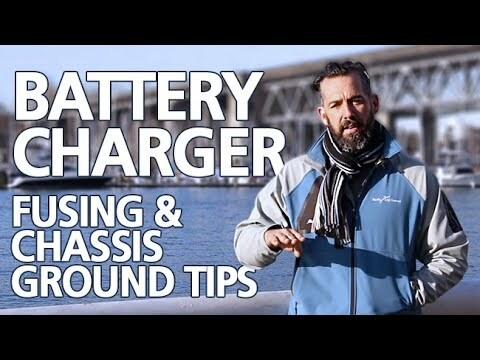 Ferroresonant chargers were one of the first battery chargers to hit the marine charger market. They are hard to miss as they are large, bulky, aesthetically from a bygone area, make a fair amount of noise and, because they generate a magnetic field, can upset any adjacent electronics. As well, they have no float charge control so they would easily overcharge batteries. These chargers are still prevalent on many boats built prior to the early 2000s. The next phase of ferroresonant battery chargers were referred to as linear. 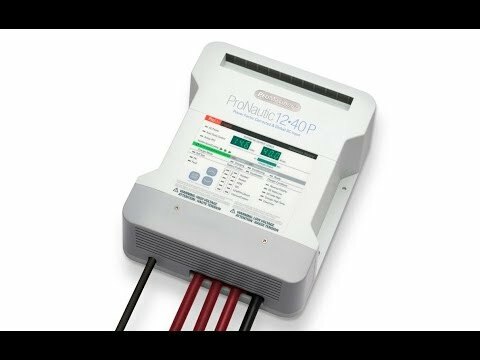 This technology is used in some multi-stage chargers but they still tend to be bulky, inefficient and only slightly more evolved than the original ferroresonant charger. The Smart Charger. Today, the most popular marine battery charger is a three-stage charger, also called a smart charger. They are easy to use, worry free, won’t overcharge your batteries and you can leave them on 24/7. Smart chargers detect voltage and resistance from the battery before they start charging and then determine which stage to charge, bulk, absorption or float. Smart chargers also come with battery temperature sensors so that the batteries are charged at the right voltage for the battery temperature. The Alternator. The second alternative to charge your batteries is an alternator. Remember an alternator/regulator system is mechanical and spun by the engine. This means that the output is variable depending on the engine rpm at idle or full cruise and you have limited control over amperage. In the past, the alternator technology was limited by the half-inch v-belt. A single v-belt could drive a 90-amp alternator, but it was unadvisable to try and run a larger alternator without causing some complications such as v-belt slipping. A few companies had dual v-belts but some companies, like Volvo, switched to the serpentine belt. The philosophy was again changing, engines were no longer just for propulsion they had also become one way to charge the batteries. These new serpentine belts allowed for a 165- or 200-amp alternator. Manufacturers even started developing serpentine pulley kits for older engines to allow them to install high output alternators. This new alternator technology allows for higher output at a lower rpm but the greatest advancement is in the refinement of the software that allows the regulator to be smarter and optimize charging. 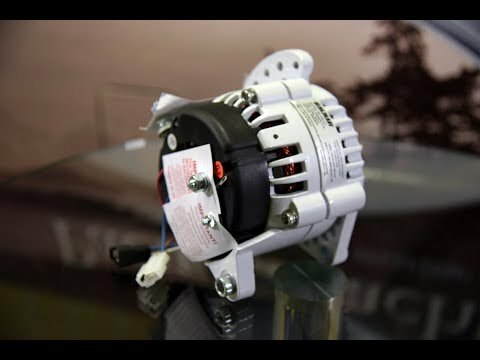 High Output Alternators and External Regulators. This opened the market up for higher output alternators and external regulators. However, the charge profile for SVR lead acid batteries was different than flooded lead acid. They required an external regulator to adjust the voltage, which led to the introduction of multi-stage programmable regulators. Companies, like Balmar, Ample Power and Xantrex, to name a few, were able to develop software and systems that made regulators even smarter. An external regulator basically transformed an alternator into a smart, three-phase charging device. Users could even choose pre-set charging voltages based on battery type or could even create their own custom three phase charging voltages. Furthermore, some regulators now monitor alternator and battery temperature to adjust to the correct charging voltage. Our industry has certainly seen some changes over the past few years. 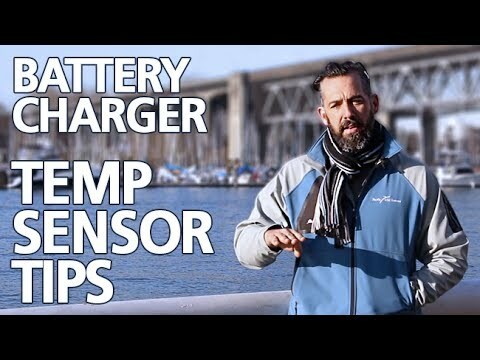 Luckily the improvements in charging, both for chargers and alternator with external regulators, allow boaters to recharge their batteries faster and at the appropriate settings for flooded and SVR batteries.